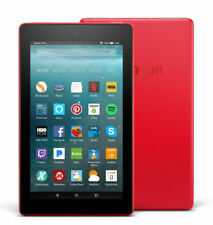 ��Amazon Fire HD 10 (7th Generation) 32GB, Wi-Fi, 10.1 inch - Punch Red! NEW! 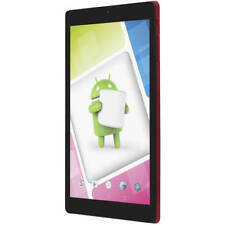 Nuvision TM800A620M 16GB Quadcore 8" HD Android Tablet w/ Leatherette Case. 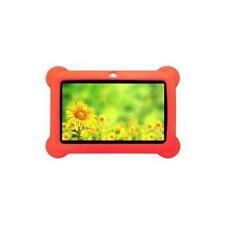 TM800A620M tablet. Storage: 16GB. Card Reader: microSD. Leather case. AC Adapter. 1 x Headphone. Storage Capacity: 32GB. Series: fire HD 8 (7th generation). This sale is for a new amazon fire HD 8 tablet. Manufacturer: Amazon. 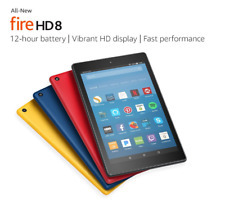 Model Number: fire HD 8. Battery: Up to 12 hours of battery life. Color:Punch Red. Runs android Kit Kat 4.4. 16gb of storage space. This is a great tablet. Everything works fine. I bought it for my elderly father to use, but he is just not into learning new technology. Includes Keyboard case. For sale Nextbook Tablet. Item has been tested and works fine. Tablet has been reset to factory settings. Alexa provides quick access to the. for Amazon. Amazon Fire 7 - 7" - Tablet - 8GB 7th Generation, 2017 Release. We'd like to settle any problem in a friendly manner. The fast quad-core processor consists of four. Android 5.1 lollipop. 3G:(WCDMA 850MHz/1900MHz/2100MHz). 2 Standard Sim Card Slot. USB HOST 2.0 high speed interface (Micro),Support Extra Hard Disk, Ethernet, 3G Dongle and other peripherals. 1 x Tablet PC. !! 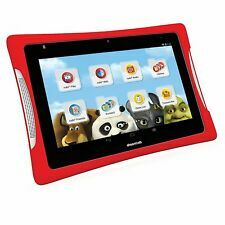 !~~~Very Nice~~~New/Customer return FUHU NABI 2 7" 8GB Android kids tablet !!! Body and display is mint. Great tablet for them. Will require adult help to do the original start up process. Get it now! APPLE MP2F2LL/A IPAD- 5TH GENERATION. Storage Capacity ?. Release Year 2017. Product Line Not Specified. Type of Tablet Tablet. Password Protected NA. Features Backlight. New ListingNabi - 7 Inch Screen - Great Condition! Nabi - Used, but great condition! 4.5 out of 5 stars - Nabi - 7 Inch Screen - Great Condition! 44 product ratings44 product ratings - Nabi - 7 Inch Screen - Great Condition! Nabi - 7 Inch Screen - Great Condition! 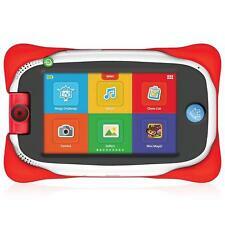 MAXWEST LuxPad Stream 9 Tablet .